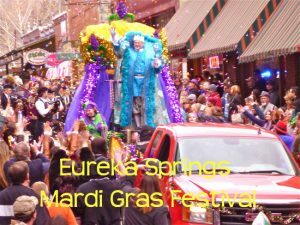 Eureka Springs is one of the top choices for that romantic getaway. Since Valentine’s falls in the middle of the week this year, you have the luxury of choosing when you want to come! Choose from the weekend before, after, or even the day of for that memorable getaway.Here are some suggestions we have come up for you! Valentine’s Day is officially “Date Night.” Stay in a Jacuzzi Suite for Just $99 at the Basin Park Hotel on 2/14! Make it extra special: When you book a massage at Spa1905 (second floor) receive a free upgrade of a romance inspired aromatherapy. All ladies will receive a rose and chocolate. Dine in one our many chef owned restaurants in town for that special experience. Reservations will be filling so call soon. 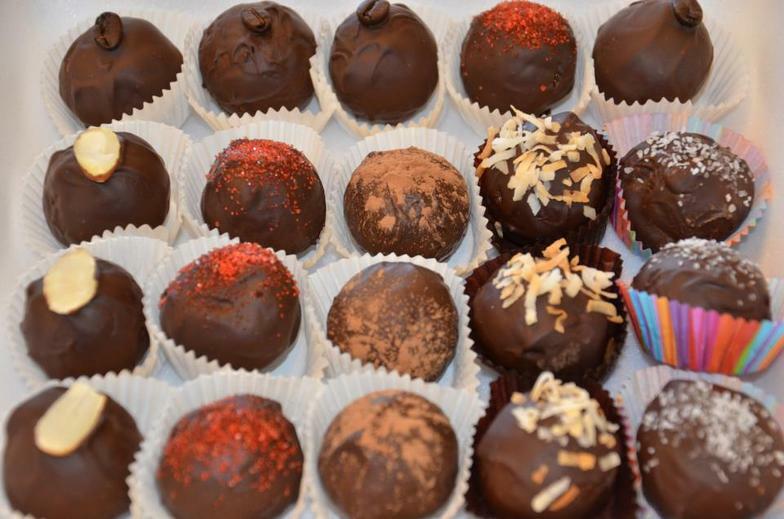 Chocolate Lover’s Festival, 2/17 continue your Valentine’s Day celebrations with a complete world of chocolate appreciation featured at the 14th Annual Chocolate Lovers’ Festival. NEW location, the Eureka Springs Community Center (44 Kingshighway, Eureka Springs, AR). Tickets $10. View Details. Asleep At the Wheel Concert Show! 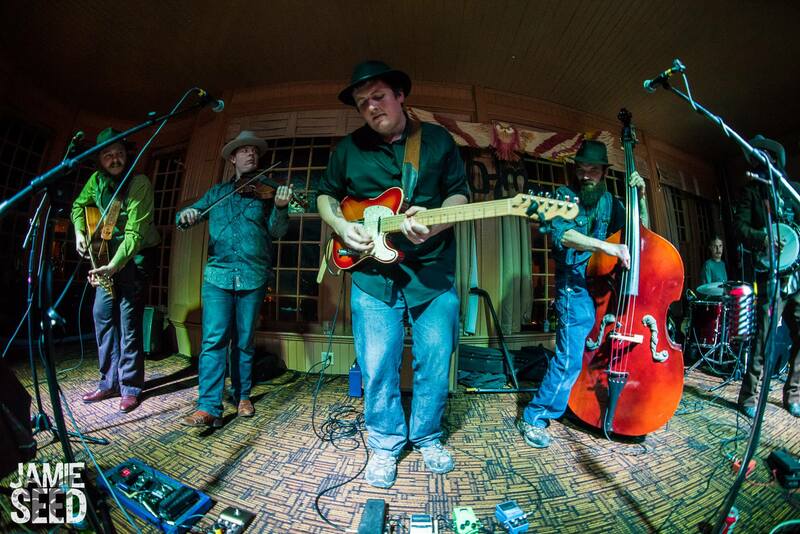 Liven up your evening on 2/17 for the postmodern kings of Texas swing, “Asleep at the Wheel” as they perform downtown at The AUD (City Auditorium). Tickets $20-$40. Buy Here. $499 plus taxes and fees. Valid 2/16 & 2/17. February 11th end the weekend with a Jazz Brunch at the Crescent Hotel. 11AM-2PM. Enjoy fine dining at the Jazz Champagne Brunch in the Crystal Dining Room at the world famous Crescent Hotel. Feast on food, fun, music, and join in on the 2nd line dance. Call for reservations: 877-342-9766. 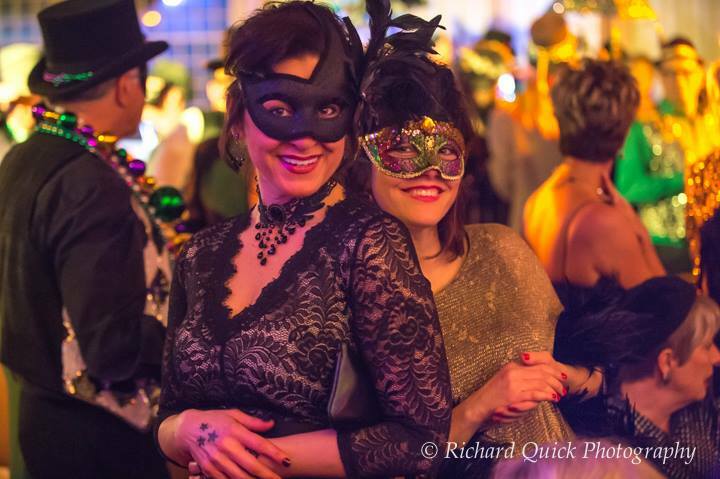 February 16th Mayor’s Ball “Salute to the Royal Court” after party at the Basin Park Hotel. Tickets $25 Buy Now! Live music by the Crescent City Combo band, Games, Pirate Contest, Drinks & More! Eureka Springs Comes Alive in the Middle of Winter! 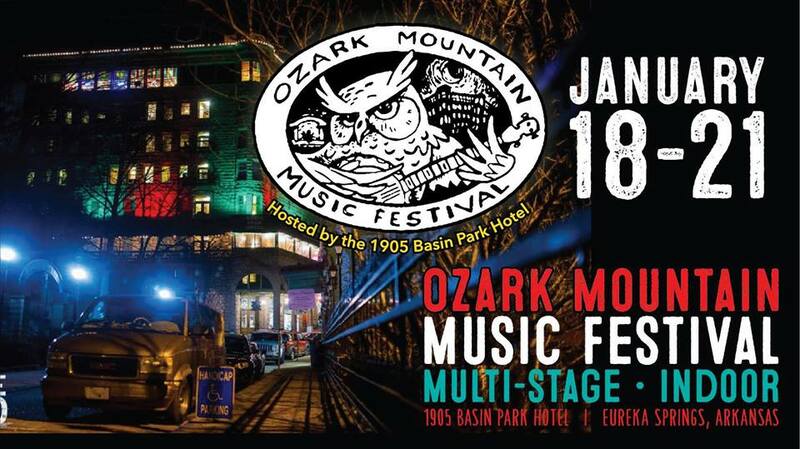 The Ozark Mountain Music Festival is an Ozark Mountain fusion of Bluegrass, Folk and American Roots Music held annually at the Basin Park Hotel in Eureka Springs, Arkansas. 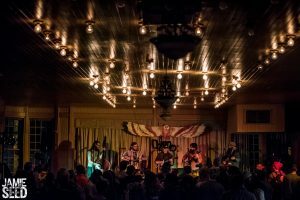 With bands often celebrated at such major festivals as Wakarusa or Harvest Fest, the Basin Park Hotel has invited festival goers to come camp inside on a chilly January Weekend with some hot music and great memories. 4 Days / 11 Acts: Festival lineup includes multiple stages and music for 4 days with local and regional bands across Missouri, Kansas, Oklahoma, and Dallas. 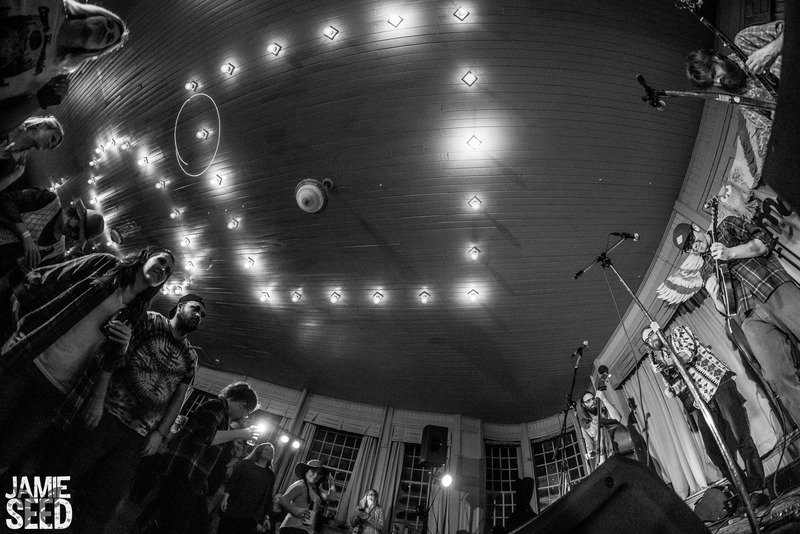 With no backstage area, the attendees and bands are all together in the venues inside the Basin Park Hotel which creates a unique community music experience for festival goers. 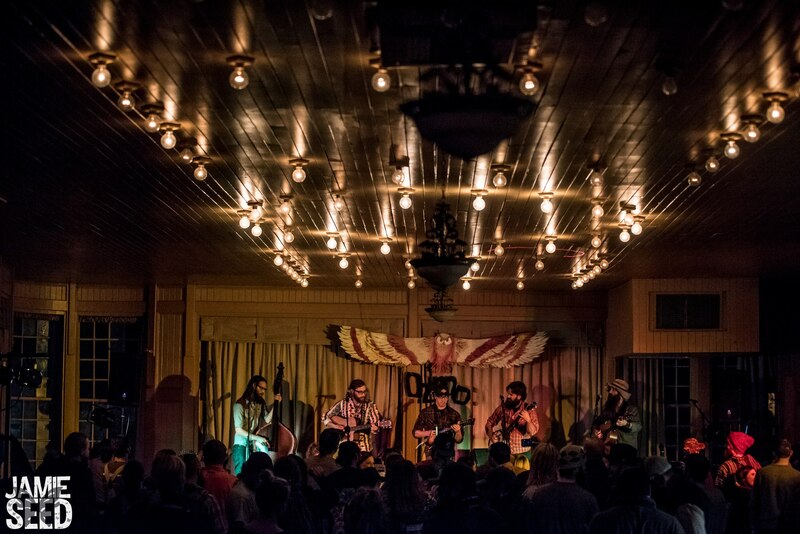 The vibe is of an outdoor music festival that is held indoors in the winter when its too cold to play outside. The festival encourages jams as part of the OzMoMu experience for both talent and attendees. Thursday is opening night and locals night, which admission is free for those that bring an instrument and jam afterwards. Check out the 2018 Headliners! Friday and Saturday nights, Chelsea’s Corner Cafe & Bar, located downtown, will be the Late Night After Party Show.